Wesley Saint West was born with normal hearing, but when he was 31 sudden hearing loss took it all away. 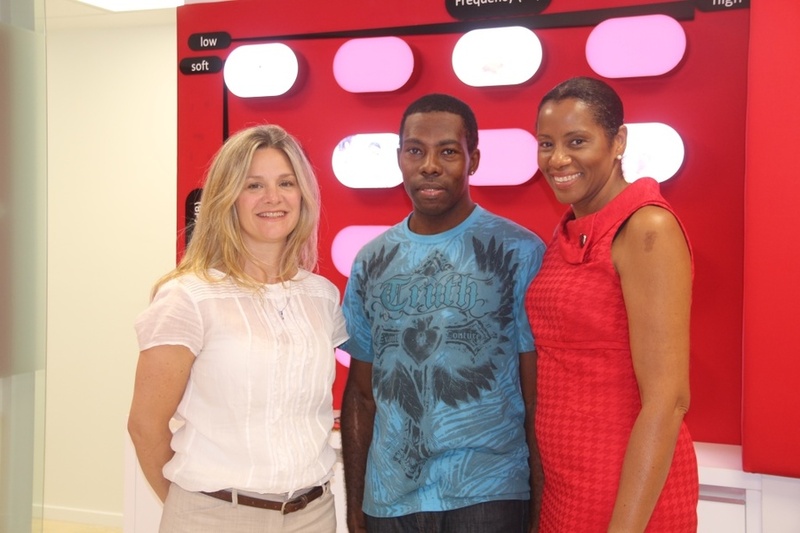 Then he heard about cochlear implants, and became the first person in the Bahamas to receive a cochlear implant. He received his cochlear implant at the hearLIFE Clinic Nassau, and we’re excited to share his perspective on his newfound hearing. Approximately three years ago, I lost my hearing and went completely deaf. At first my doctor thought that it was due to a sinus blockage and ear infection, so I was given some prescription medicines and antibiotics, but they were of little help. I kept losing my hearing, gradually, and was then referred to a specialist. The specialist confirmed that I had sensorineural hearing loss and would need powerful hearing aids, and perhaps surgery, to help me to hear again. I tried using hearing aids, but they weren’t much help. I was only able to hear sounds, not voices, and it was all distorted. Then one day when watching the movies I realized all my hearing had left me: I couldn’t hear the audio or dialogue. So I found myself in a deaf world. God knows, I didn’t know how to live and make it in a deaf world after being and living in a hearing world for 31 years. Losing my hearing, one of the most vital and important senses of a human being, has been hard to adapt to. If I had been born deaf I figure it would have been easier to adapt to a deaf world, but there is a big difference between being born deaf and becoming deaf. The hearing loss affected my life tremendously, and it was difficult to accept the fact that I would have to live my life without hearing. I used to be an outgoing person and enjoyed every pleasure of life when I had my hearing. But, when I became deaf nothing much seemed enjoyable in my life. I tried to pretend and engage in activities that I once did and enjoyed in the hearing world, but it was just not the same. I have been singing practically my whole life, but when I lost my hearing my singing was not the same anymore. I still loved to sing, but I couldn’t hear myself. I could not tell if my singing was good or bad, and I couldn’t control my voice. Often the only way that I would know if I was singing or talking too loud was when someone told me. I felt like I lost a great part of my life, and my relationships with friends and family suffered. Not being able to hold conversation, or participate in social interactions, was for me the worst effect. Due to all these frustrations I decided to somewhat disconnect myself from the hearing world. I continued to pray and ask God for a way to fit in and live in a deaf world. The greatest difficulty was accepting that I was deaf. God knows I just wanted to be angry and mad every day of my life living in this deaf world, but I learned all of that was not helping but only making me more miserable. My audiologist from the hearLIFE Clinic Nassau recommended that I get a cochlear implant: I was well informed and told that a cochlear implant was my only solution for hearing again. I was informed that not only would my cochlear implant surgery be done in the Bahamas, but I would be the very first person to receive a cochlear implant in the Bahamas. This was an honor and a privilege for me. Since getting my cochlear implant, life has been so much better than when I could not hear. I can still live in the deaf world, but to be able to hear and be a part of the hearing world again is a blessing. I don’t have to rely much on signs and lipreading any more. I can have conversations and communicate easier now that I can hear. I don’t have to feel afraid and shy away any more. I feel confident now to talk and listen to people. I can hear what I was missing, most of all voices and music. And now that I am able to hear myself a bit, I can practice singing again. Hearing with a cochlear implant sure makes it a lot better to control my range, and even have some perfection when hitting those high notes. I’m still doing ongoing rehabilitation and getting used to my cochlear implant, but I know getting a cochlear implant was a good choice for me. It is amazing and it gets better every day. Subscribe to the MED-EL blog for more inspiring stories from real MED-EL recipients!